Before we leave for TwitchCon we’re dropping thiFs patch like it’s hot! We just can’t stop remastering so be on the lookout for some UI redesigns. Mirumok Ruins has been altered significantly. 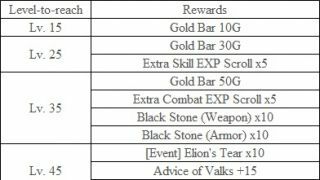 Many changes to the loot, monsters, and EXP have been made. Check it out! 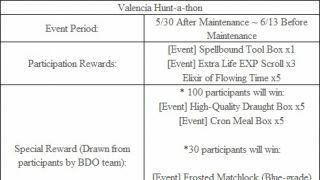 The Bonus Back event is here for the first time! Big bonuses on all of your pearl purchases through November 17th. Finally, the Mischievous and Fortunate event will start. Mischievous Jack is lurking and he has some loot just for you. All of these and more await you in the rest of the patch notes and as always thank you for your continuing support! • Part 1: The Mischievous Jack event will start. -Accept the quest [Event] The Mischievous Pumpkin Ghosts to defeat the Mischievous Jack that appears from 22:00 to 07:00, in-game time. Defeat Mischievous Jack to get cool rewards! • Part 2: Pouch of Fortune event will start. -During the event period, defeat Monsters, Gather, and Fish to obtain [Event] Rarity Pouch or [Event] Fortune Pouch. • Click < Here > to see this fascinating event in detail. ◈ Bonus Back event will start. • It's time for you to earn bonus items for your Pearl purchases. Receive bonus rewards depending on how many pearls you spend during this special 2-week promotion! 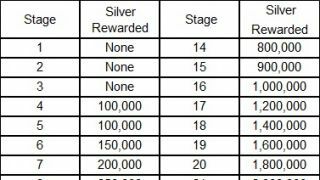 • Rewards will be given via the in-game Mailbox (B), with future announcement on exact date, based on the database of the amount of Pearls spent (excluding Pearl Box purchases or Kakao Cash purchases) by each adventurer. • Click < Here > to see this affluent event in detail. ◈ 2018 Halloween Escapade: 10/17 ~ 11/07 Before Maintenance. ◈ Lauren Family’s Gift: 10/17 ~ 10/31 Before Maintenance. We wanted to help all guilds grow with our last update by removing the minimum number of participants required for Node War, decreasing the difference between collectible tax from each node, and averaging out the percentage of tax. 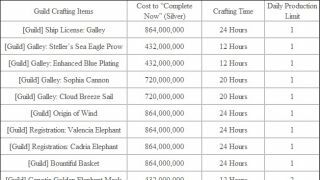 However, certain powerful guilds have started to fight in lower Tier nodes as the minimum requirements were removed and the percentages of tax collected were averaged out. Node War is a stage set for guilds to demonstrate their strength and unity. It is also a place for guilds to secure guild funds for them to grow. We’re also listening closely to all the other various Node Wars and Conquest Wars feedback you are providing for us. We would like to provide a Node War environment suitable for each type of guild, whether it be a newly created guild or a more advanced guild. We are looking into many different ways to provide a fun experience for all guild sizes and stages of growth. For example, in a Tier 1 Node, we would like guilds of similar sizes and power to compete against each other in a Node War and learn to enjoy the PvP and Node War experience. In addition, we will continue to add ways to allow beginners to enjoy the large scale battles through methods such as providing rewards appropriate for each situation, helping to encourage quick growth. 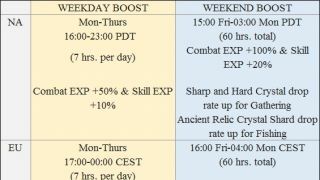 We are hoping these efforts will act as stepping stones for guild growth. As for the advanced guilds, we will provide an environment in which they can compete intensely in higher Tier Nodes for honor and provide a chance to collect great wealth that suits the level of competition on such Nodes. 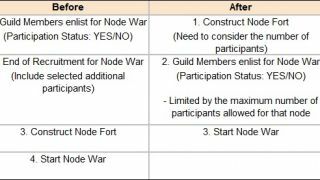 ◈ The following changes were made to Node War system. 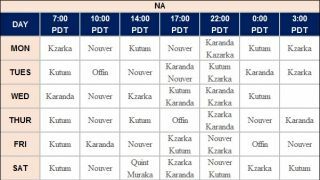 ◈ Client crashing and lag issues that occurred intermittently in large-scale battles, Node Wars, and Conquest Wars have been reduced. ◈ Characters will no longer be able to get stuck in between the rocks at Hystria Ruins. ◈ Fixed the issue where the character could go inside an object in certain areas in Grána. ◈ The bell in Velia will toll exactly on time now (i.e. the bell will toll exactly at 01:00, 02:00, 03:00 in-game time). ◈ Mysterious fish from the far sea have started appearing. ◈ Fixed the issue where the Sound Effects during a conversation with an NPC came out twice intermittently instead of once. ◈ Fixed the graphical awkwardness on the steel frame of the deck of large Ships. ◈ The shade on a character’s face will appear more natural after having applied a new customization. ◈ the issue where the hair and feather would turn purple inside a building in Remastered or Ultra Mode. ◈ Fixed the issue where the dyeing of the Trilby Hat would not be displayed when having it equipped together with Terrmian Casual Wear (for Female Classes). ◈ Fixed the graphical issue that appeared when dyeing slot 0 and slot 1 of Blanchard Shoes. ◈ Fixed the issue where the cape would disappear when going up a high terrain in Iron Buster mode after having equipped an outfit that allows you to trigger Cape Setting. ◈ Fixed the graphical issue that appeared on the arm area when making the Iron Buster pose while having the Venia Riding Attire or Heidel Masquerade Outfit equipped. ◈ Fixed the graphical glitch where the skin would appear outside the gloves upon equipping Bheg’s Gloves. ◈ Fixed the graphical glitch in the [Valkyrie] Envi Bikini that appeared when sitting down with an outfit that reveals underwear/bikini equipped. 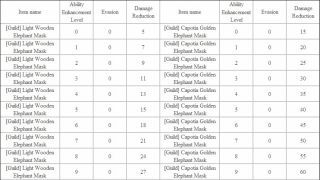 ◈ Fixed the issue where a combo skill could not be performed following Toxic Flood used during Aad Sphera Training while the character was moving. ◈ Fixed the issue where a combo skill could not be performed following Lava Field used during Godr Sphera Training while the character was moving. ◈ Fixed the graphical glitch in the [Kunoichi] Lazies Underwear that appeared when sitting down. ◈ Fixed the awkwardness in the character’s expression that appeared when lying down with the Bloody Dress equipped. ◈ Fixed the graphical issue that appeared on the neck area when simultaneously equipping the Bloody outfit and Le Vladian Underwear. 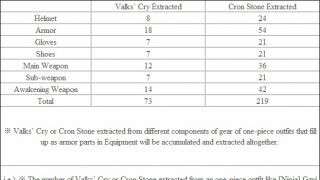 ◈ Fixed the issue where icons for the following items were not present in Crafting Notes. 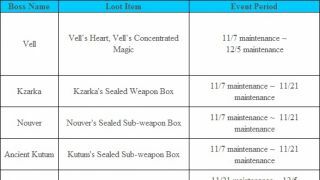 ◈ [Event] Halloween Gift Box (from 2017) will now be able to be combined or used. 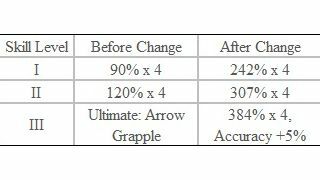 ◈ Fixed the issue where cooldown would not be applied to [Event] Halloween Pumpkin Cookie. ◈ The probability to catch Striped Shiner which is a quest target of the quest ‘Forest Angler’ has been increased. ◈ Fixed the issue where changing appearance of a Tier 3 or 4 Hedgehog to the appearance of a Tier 1 Hedgehog would not work properly upon using a Pet Appearance Change Coupon. ◈ Fixed the issue where Long-tailed Rosefinch would not sit on the character’s shoulders. ◈ Recommended Party size for Mirumok Ruins has been reduced from 5 members to 2~3 members. • As the Recommended Party size has been changed, killing one monster would grant loot for up to 3 members. • Recommended AP has been reduced from 250 → 240. ◈ Mirumok Lookout and Mirumok Watcher will now be able to spawn Voraro. 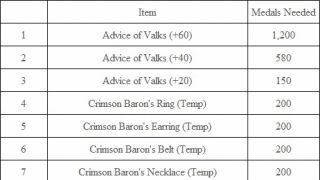 • The chance to obtain loot is higher for Voraro compared to other monsters at Mirumok Ruins. 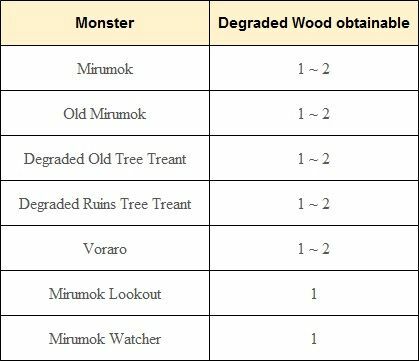 • If you approach Mirumok Lookout and Mirumok Watcher for the first time, 6 Voraros will be spawned. • When Voraro springs up after spawning, its Attack Range will be displayed. 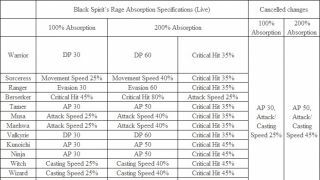 This springing attack is much more powerful compared to other normal attacks. • 10 seconds after Voraros are spawned by Mirumok Lookout and Mirumok Watcher and less than 2 of them are remaining, additional 6 Voraros will be spawned. This process can be repeated up to 6 times. • After Voraros are spawned for the sixth time and 20 seconds pass, Mirumok Lookout and Mirumok Watcher and all spawned Voraros will disappear. • Mirumok Lookout and Mirumok Watcher will be destroyed if the target in combat moves too far away or disappears. • If Mirumok Lookout and Mirumok Watcher are destroyed, all spawned Voraros will also disappear. • After Mirumok Lookout and Mirumok Watcher spawns Voraros for the first time and 2 minutes pass, they will disappear regardless of how many Voraros have been despawned. • As Mirumok Lookout and Mirumok Watcher spawns Voraro continuously, you can choose the method of defeating Voraros only without hurting Mirumok Lookout and Mirumok Watcher in your training. 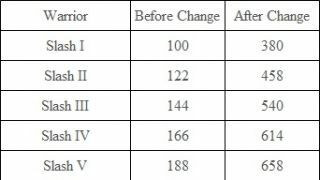 ◈ AP and DP of monsters at Mirumok Ruins have decreased by 15%. ◈ The following monsters at Mirumok Ruins will no longer inflict CC effect. ◈ The HP of the following monsters at Mirumok Ruins has been nearly doubled. 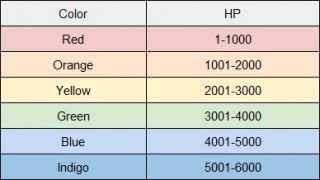 ◈ The following monsters have been changed to Rare Monsters and HP has increased by almost 5 times. • As these monsters spawn Voraro continuously, we do recommend you to prioritize fighting the Voraro that are spawned. 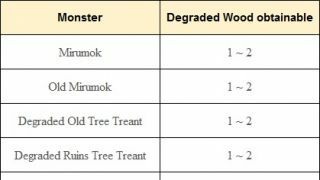 ◈ Some of the monsters at Mirumok Ruins have been relocated. ◈ Fixed the issue where the blood that is splattered on floor or in midair for characters when inflicted hit from monsters would appear different in color. ◈ The following Recurring Quest has been added. ◈ Fixed the issue where the quest target Terrapin was not being caught during the quest [Fishing Lv. 15] I Feel Exhausted Lately. 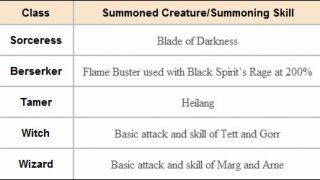 ◈ The following texts have been added to the conversation “I’d like to learn about Gathering/Processing” with the Black Spirit to make the guide on Life Skill quests clearer. • ※ To start Fishing for this quest, you must be Lv.. 31 or up. ◈ Knowledge of Chuck Laurie the hunter of Balenos Mountains has been added. • You can search for Chuck Laurie and activate auto-navigation from Find NPC menu only after acquiring Chuck Laurie’s Knowledge, . ◈ Game UI has been remastered. • The styles of all the windows have been unified. The background color of the windows has been changed into a darker tone and the icons were given a white color to enhance the visibility of the descriptions within the windows. • Title bars have been added to all the windows, and the window title will now be displayed on the left side of the title bar. Title icons have been placed on the main window for emphasis. • Color of icons on the windows have been unified in a white color, and colors for certain major functions have been added for emphasis. 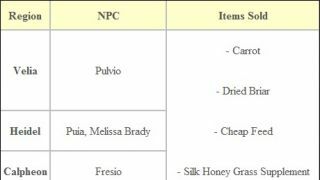 • All icons on the NPC conversation window including Repair, Extract, and more have been removed. • Hot and Limited buttons of Hot & New Tab that will appear on the top, have been added to the Pearl Shop UI. Now New, Hot, Event, Sale, and Limited sub-category tabs will all be visible under the banner on top-left corner. ◈ Some of the UI has been improved to enhance convenience. • The layout for the Life Skill within the My Information window has been changed from 3 to 2 layers. • The Processing method radio button has been placed to the top within the Processing window. Also, the first Processing method will be selected by default when opening the Processing window. • A ‘New Quest’ tab has been added to the Quest window. -You can check out the recently added quests and event quests in one view through the New Quest tab. • A Storage tab and Marketplace tab has been added to the Maid/Butler list window, and they will be sorted according to the function of the Maid/Butler. • The location of each button within the Worker list window has been rearranged to enhance convenience. The Stamina gauge has been placed to the bottom of the Worker portrait. 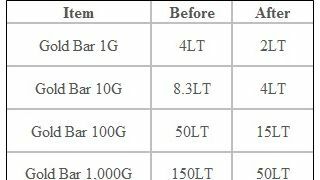 • Changes have been made to the way the quantity of enclosed Goods is displayed within the Read Mail window to be more seen more easily. • The descriptions within the Militia window have been combined into a single window. • The filter button has been removed from the Inventory. The filter will be upgraded in the future. 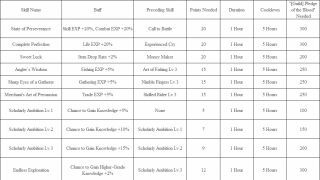 • The Skill Effect part from the Pet window has been combined into a single window. • A border to display good rewards and even better rewards have been added to the Attendance Reward window. • The rules and Status from the Arena of Arsha have been combined into a single window. • The placement of the descriptions in the Guild window has been improved to be viewed more easily in a single view. • The Release button in the Fairy window has been changed from an icon button to a text button. • The characters in your possession will be displayed in a single line instead of two lines within the Character Tag settings window. • A feature which allows you to open and close a description from the Server Change window has been added. • The filter area on the left side of the World Map has been combined into a single window. ◈ Fixed the issue where the Close button of the window that pops up to adjust the volume of Voice of guild members did not actually close under Guild Member Status in Guild (G) window. 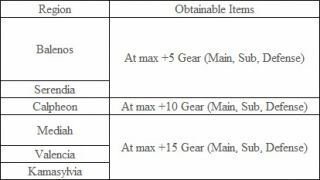 ◈ Fixed the issue where Gear could not be equipped with a right-click from Inventory (I) after using Storage Container from your residence. ◈ Results of the Repair work at a Stable and Wharf will now show up on the UI instantly. ◈ Background video has now been added to the log-in screen and loading screen that appears before the game starts. ◈ Fixed the issue where mouseover state on Quest widget would not be released intermittently. ◈ Fixed the issue where the UI would close when taking a screenshot during a conversation with Trader NPC. ◈ The text on the button for Sprouting of the Fairy that appears even when Sprouting is not possible will change as below. ◈ Transfusion, Item Reform, Extract Chance windows have been remastered. ◈ From the reworked UI, icons on the main window have been rearranged to be more fitting. Also for sub-windows without icons attached, a new title bar has been added. ◈ Fixed the issue where upon performing Recover or Repair on Mount that has been taken out, the Durability shown on the Mount’s UI would not appear to be recharged. ◈ Fixed the issue where 4K/8K screenshots could not be taken for certain PCs. ◈ Fixed the issue where outlining would appear unnatural when setting Crop Mode under Game Window under Display Settings. ◈ Fixed the issue where settings for Blur Effect could not be adjusted in Remastered or Ultra Mode. ◈ Fixed the issue where the tooltip that appears when you press "View Set Effect" in the Equipment window would be hidden by the Inventory window when the display resolution was low. ◈ Fixed the issue where the text for Challenge title and description would overlap in the Challenge window that automatically appears when you connect to the game. ◈ Fixed the issue where the number of items you can register at the Marketplace displayed incorrectly in the "My Listings" window. ◈ The location of the tooltip that appears when you hover your mouse over the weight stats in your Inventory has changed. ◈ Fixed the issue where a text would overlap into other UI when pressing the Transport or End Game button within the End Game window. 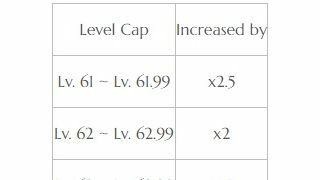 ◈ Fixed the issue where the Life Skill name and Life Skill EXP would overlap in the ‘Life Info’ tab under the My Information window (P). ◈ Fixed the issue where [Event] Halloween Candy would recover 11 Energy. ◈ Fixed the intermittent issue where Processing would not work when performing Processing continuously while having Enhanced weapon or defense gear as a Processing material in possession. ◈ Fixed the issue where Blur Effect appeared too strong during Remastered or Ultra Mode. • For any adventurer who feels the Blur Effect appears too strong even after this fix, please try adjusting your Camera settings via Camera Performance tab in Settings.